This is me attending a friend’s birthday party this past Saturday. I’ve fallen in love with all the Helmut Lang bra tops because of the modal jersey they use – so stretchy and comfy! They go well under jackets and/or as a layered piece and you can also wear it by itself as a top since the quality is not flimsy. It’s rare (or never) I wear a crop top by itself but a high waist skirt helps with coverage and still shows a little skin without it being too revealing. They come out with different variations of these bra tops every season and I have to try hard not to get all of them! 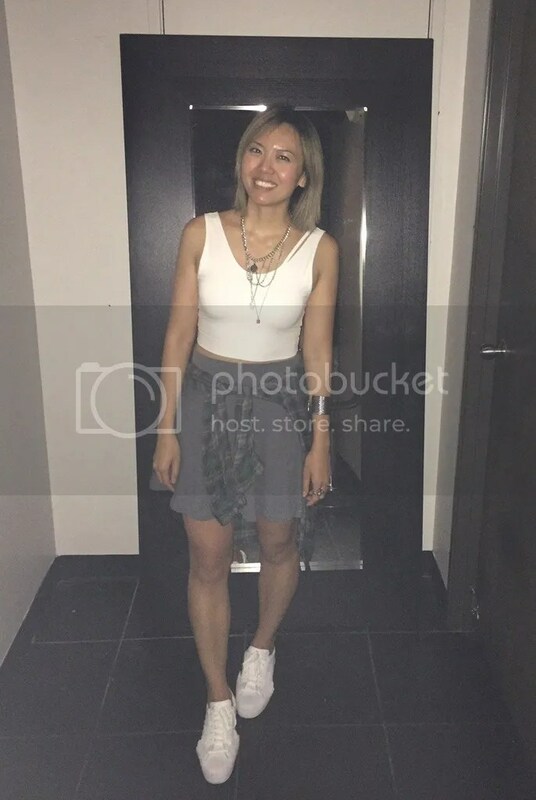 This entry was posted in Uncategorized and tagged Adidas, bra tops, Helmut Lang, high waist, Jeremy Scott, layered necklace, modal jersey, skater skirt, sneakers, Topshop. Bookmark the permalink.